We are pleased to announce from tomorrow between 2pm and 4.30pm there are stunning Guernsey grown Christmas tree's on sale from a field still in the ground. Every day from tomorrow between 2pm and 4.30pm you can come into the privately owned field and chose your very own local Christmas tree. On sale soon from the GSPCA we will have a small number of wonderful local Christmas trees that have been grown on island for the last 9 years. On sale from £25 upwards all money raised will go towards replanting new trees for the future and the majority towards the GSPCA and helping animals in Guernsey. They are blue spruces which is a top end tree which look fantastic and don't drop their needles. Also being grown here in Guernsey mean they are as fresh as you can get. On Saturday and Sunday volunteers manned the field once again near Oatlands to sell locally grown Christmas trees raising funds for the GSPCA and animals in Guernsey. In total the trees have raised nearly £2000 and we still have some on sale at the Animal Shelter in St Andrews. GSPCA Manager Steve Byrne helped organise the days but couldn't have run them without Alex, Caroline and Calum this weekend and Matt and Jen last weekend. 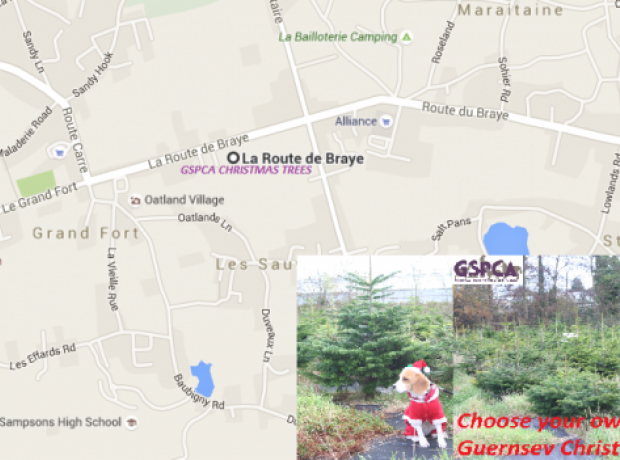 We are pleased to annouce a further two days selling the Guernsey grown Christmas tree's from their field this weekend. From 10am until 4pm on Saturday and Sunday you can come into the privately owned field and chose your very own Christmas tree. We will sign post the field so you can clearly see it and GSPCA volunteers will be on hand to help. 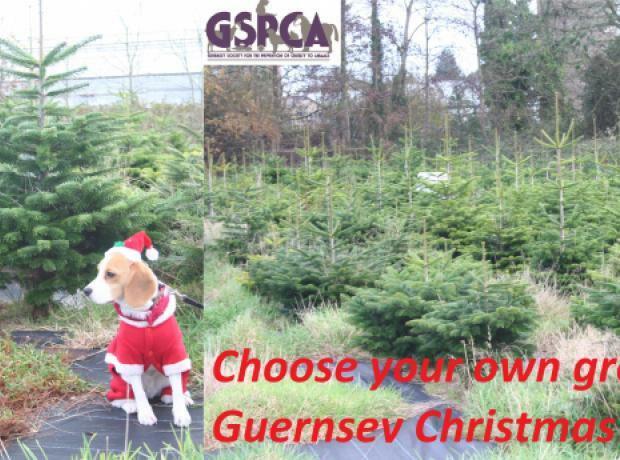 After an amazing day raising funds selling Guernsey grown Christmas trees we would like all to know its not to late you can still buy your Christmas tree from the GSPCA. On sale now at the GSPCA we have a number of wonderful local Christmas trees that have been grown on island for the last 8 years. It's the BIG day tomorrow and we can announce the location of the Christmas tree's. As you drive through the traffic lights by Oatlands heading towards St Sampsons the field is a few hundred yards along on the right opposite Braye du Valle House. From 10am until 4pm you can come into the field and chose your very own Christmas tree. There will be signs by the field entrance and please do take care coming in and out. Don't forget we can deliver and will continue to sell the trees from the Shelter and our stall in town next week. On sale now at the GSPCA we have a small number of wonderful local Christmas trees that have been grown on island for the last 8 years.